Composed by Kenneth E. Bryars. 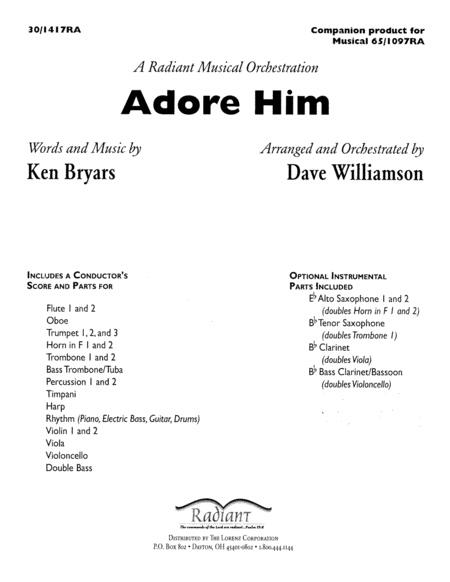 Arranged by Dave Williamson. Choral Cantatas. Christmas. Orchestration. 581 pages. Radiant Music #30/1417RA. Published by Radiant Music (LX.30-1417RA). A wonderful, dynamic, stylistically eclectic Christmas musical for choir, solo, praise team and congregation. Exciting new tunes combined with the treasured and loved traditional carols. Great representation of the styled and crafted orchestration that we've come to expect from David Williamson.